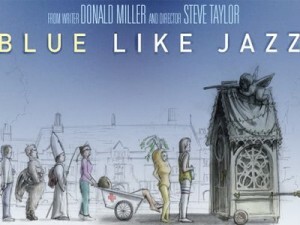 Blue Like Jazz the Movie: A Review – Nooooooooo! I’m pretty sure I groaned out loud as the first scenes flashed on the screen. I thought back to the grass roots effort by fans of the book to save the movie that was slated to die before completion, “There just wasn’t enough money to do this right.” I thought, “No, don’t start like this…people are gonna get up and leave.” I wanted to get up and leave. It was awkward…really, uncomfortably awkward. In fact, I was afraid that maybe one of those awful, garish “christian” production companies had donated a huge sum of money and hijacked Don’s book and Steve’s vision. I honestly thought these things. With dread and overwhelming disappointment, I thought these things. Then I remembered how much I had paid for the ticket and decided, “Eh, I’ll give it another scene or two.” Honestly glad I waited. 1. If you’re easily offended…don’t see this film. Wait, do see this film. You need to see it. 2. If you’ve read the book, forget that you’ve read it. Watch this as a completely separate work. 3. If you’re expecting something akin to Fireproof…you’ll really enjoy the first 5 or 10 minutes, then you’ll get up and leave. 5. That first scene…it’s awkwardness? Intentional. Genius. You”ll see. 6. Steve Taylor’s fingerprints are all over this. Yup, that’s all you’re getting out of me on this one. So go see it. Then come back here and let me know what you think. Save the spoilers for my private e-mail (david@allwhowander.us). One last thing” What does this have to do with wilderness, hiking, the outdoors, etc? Nothing, really. It has everything to do with God. With searching. With struggle. With wandering. And you know…not all those who wander are necessarily lost. Same here, Kathy. Check out the fb fan page or the website for listings. Thanks for commenting! Make sure you come back here afterwards and let us know what you think!